1-2 tsp salt, to taste. Mix the meatball mince. If you are using the stock cube then boil and dissolve it in the milk. 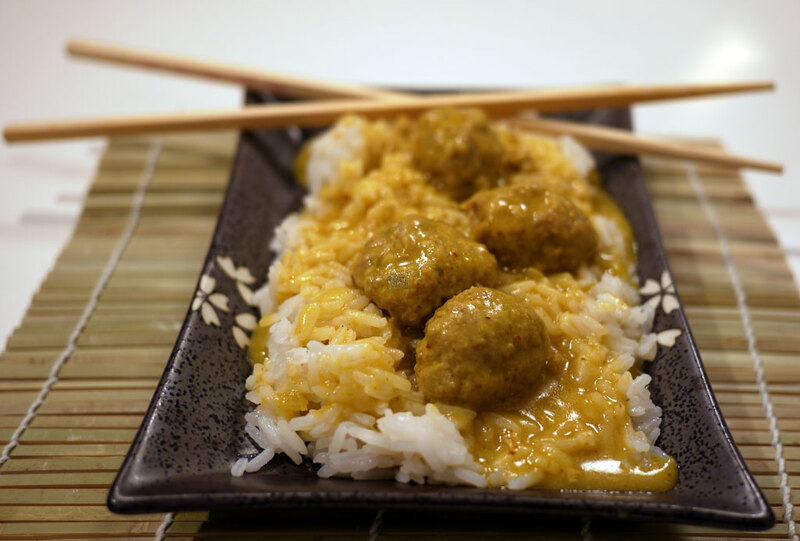 Shape the mince mixture into balls on your palm using a teaspoon. They should be approx. the size of walnuts. Boil them in the stock until they float, and then just a few more minutes. Only make one layer at a time. Take them out of the stock and put them aside in a bowl. When they all are cooked then cover them with the stock from the pan. It keeps them warm and gives the stock small extra tastier. Heat the oil in the now empty stock pan. Toast the curry in the oil. Between 5-30 seconds depending on the temperature of the pot. Be careful not to burn it. If you do, you should just throw it out and start over. Add the flour and toast it for 1-2 minutes. It should be viscous but liquid, so add more oil if there is not enough. Add the stock from the meatballs and the cream. Let it thicken. When the sauce has thickened then add the meatballs. Once the sauce starts simmering it is ready to serve. but you can also let it simmer slightly until it is time to serve. They tolerate a bit of simmering well. 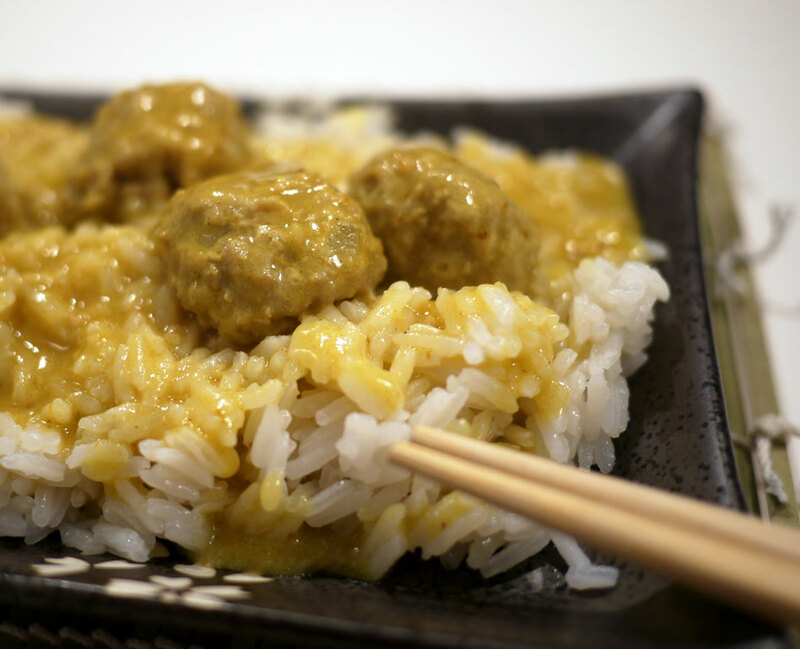 It is better to have the meatballs ready and waiting for the rice, than it is to have the rice ready and waiting for the meatballs. You can use corn starch to thicken the sauce with, but then you should not roast it like the flour, and you can use less oil. Rice flour can also be used as thickener and it can be roasted. Serve with cooked rice. I calculate 1dl (½ cup) per person. 1 stock cube normally corresponds to ½ tbsp chicken powder.